Read Joanne Nova’s support for Christopher Monckton after ‘your’ ABC hits below the belt, well below. Helen Caldicott and the ABC have excelled themselves in the Art of Ad Hominem. 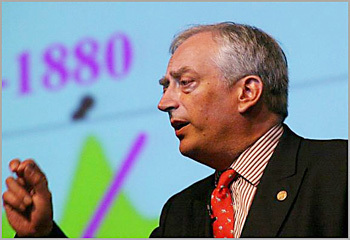 So much so, that Christopher Monckton is not only writing to the ABC, but also to medical registration boards as well, calling for Caldicotts’s de-registration. Is she not aware Monckton had Graves? Caldicott is a doctor and also the co-founder of Physicians for Social Responsibility, “an organization of 23,000 doctors”. [See her Bio]. Perhaps she thinks it would be “socially responsible” to start a show where panels of doctors speculated on the medical conditions of celebrities they had never met? They could make fun of fat politicians and disabled sports stars? What fun. How about the laughs of picking on Stephen Hawking? Stephan Lewandowsky could be a regular guest, pronouncing that non-Labor-Green fans were paranoid conspiracy hunters, and ideated nut-cases. Some ABC viewers would find that most entertaining. The rest will despair at how our tax dollars are being vaporized in the biased billion dollar organization with manners and reasoning at sub-preschooler levels, impoverishing public policy by suppressing non-pc facts. The ABC previously suffered a reputational blow reported on here. There are so many holes in the ABC in news and reporting, Spakfilla is probably not enough. Click more for booking details of the other dates this week in Sydney & Newcastle, next week in Perth, and the week after that in Brisbane and the Gold Coast. This entry was posted in Climate, comedy, Environment, Health, media, Oz politics and tagged climate, climate change., climate model, climate science, comedy, entertainment, environment, greenhouse gas emissions, IPCC, Joanne Nova, lord monckton, nature, politics, research, science, science and technology, weather. Bookmark the permalink.